On 14 January 2016 World Health Organization (WHO) declared Liberia free from Ebola after confirming that all known chains of transmission had stopped. Nonetheless a new case was discovered in Sierra Leone on 15th January. The Ebola-free status of three west African countries of Guinea, Sierra Leone and Liberia lasted for only one day. 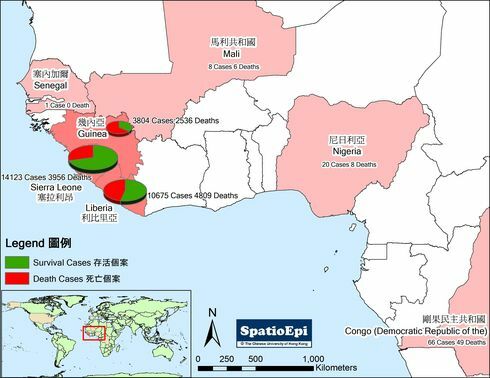 The map shows the number of Ebola cases and deaths since the epidemic started in 2014. Most cases were reported these 3 adjoining countries, with a high case mortality rate of around 50%. 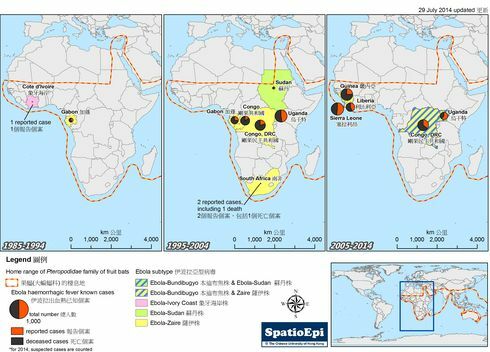 The pattern of Ebola epidemic highlights the importance of continued prevention of new infections, so that re-emergence of the epidemic would not occur. In response to the Ebola threat, WHO released the Phase 3 framework in September 2015, which was developed through an assimilation of new knowledge and experience from the field. Its main objective is to eliminate and reduce the risks of all remaining chains of transmission and re-emergence through active surveillance and the collaborations of different partners. 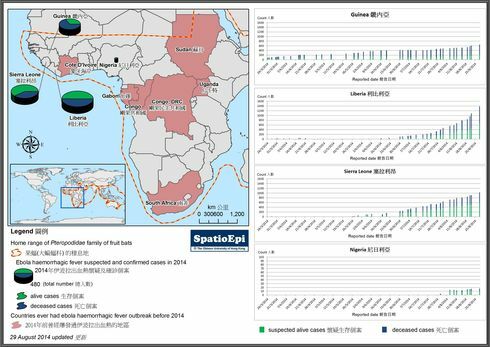 Data for this map were derived from Ebola Situation Report - 20 January 2016 of WHO.